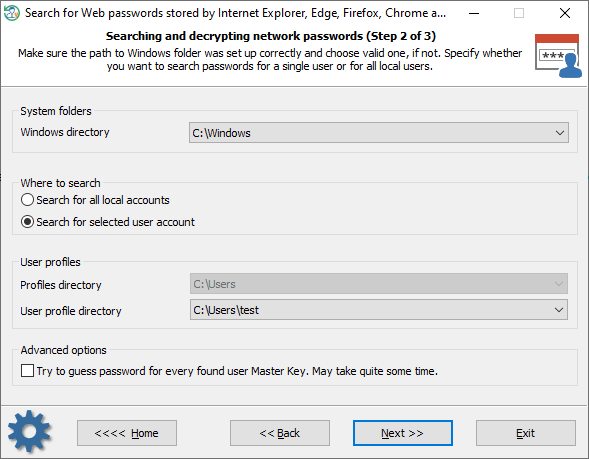 One of the application’s most notable features is searching and decrypting PC users’ network passwords. 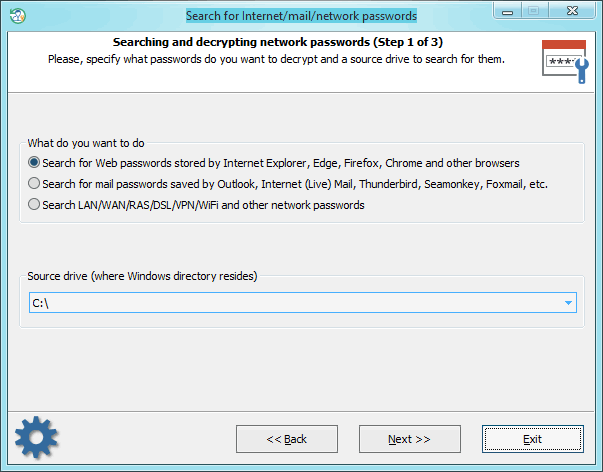 Reset Windows Password supports all major popular browsers and email clients. The interface is split into three steps to make the process as easy as possible, and the specific details are left to the program. On the next step, specify the location of the Windows folder and the folders where the program will try to find the passwords: all user profiles or only the selected one. In the latter case, select the respective folder. In the final dialog, clicking the << Search Passwords >> button launches the process of gathering, analyzing, and decrypting data. Please be patient; depending on the selected options and the number of users in the system, the process may take quite some time.